I’ve been asleep.. why didn’t you wake me?! You may have noticed that I have been a bit quiet of late. As some of you know, I recently had the privilege of visiting India. Australia has less people in more land. Australians are in the top 1% of the richest people groups in the world! Indians are very entrepreneurial – they need to be. Life is competitive. Survival depends on being hard workers. If they don’t work they don’t eat. Many are homeless. Many die of disease as they can not pay to get even basic medical attention. Food is not readily available. In Australia, if we don’t work we have a welfare system that helps us. 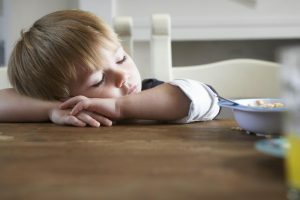 No one in Australia needs to be homeless or unfed. If we are sick, our hospital system will look after us. We can go to a supermarket and buy any food we need when we need it. 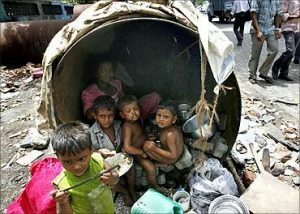 In North India, it is a harsh place to survive in. I scant can begin to describe it to you. Yet, when I see the Church in North India, it is ALIVE! Sure, they face many hurdles which we never need to. Christians are a minority people, but full of faith and God provides miraculously. Miracles are a common occurrence and God’s Power and Presence is evident anywhere the church is active. So much so that I realized how dull we are here in Australia. As a door turns on its hinges, so a sluggard turns on the bed. Sluggards bury their hands in the dish and are too lazy to bring them back to their mouths. In Australia we are so comfortable in our beds. We have so much. Material wealth abounds – just look around the home and observe all the nic nacs that adorn the surfaces – none of them are critical to our living; none feed us; none help us survive the day. In Australia we have ‘wealth related diseases’ like obesity, depression, suicides, stress, heart, psychological, relational and community breakdown, etc. There are plenty of stats beginning to make a direct correlation between many diseases and the wealthiness of a country. It wasn’t always like that. Our forefathers and Australian generations before us did good. Our foundations are built upon Christian principles. That’s why we have it so good. Yet, as we bathe in all that hard won goodness and enjoy the fruits of our predecessor’s labour, we loll about and in a sense, we are asleep… We are getting lazy… We are the sluggard… no? Do we see testimonies like these in Australia? Not often. 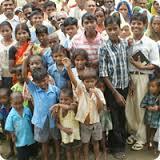 When I saw the fervor and enthusiasm of the Church Planters in India, I was greatly challenged. I’ve not seen the level of discipleship and day-to-day commitment to the Lord every day…not just for a couple hours on Sunday. They live life in obedience to Christ even at the peril of their own lives. For many, Water Baptism is a death sentence! Yet, they willingly and deliberately follow Christ. And the Presence and Power of Christ is their reality. Australia is fast becoming more secular than Christian. We are basking in the good deeds of the past. Australia needs Jesus! The harvest is indeed plentiful… so where are the workers? Sluggards do not plow in season; so at harvest time they look but find nothing. People, it is time to wake up! It took a trip to India for me to realise how much of a sluggard I have become. I highly recommend going on such an encounter to see the church in action and to become a part of that church in action. We serve an awesome God. He loves us. He awaits us to arise and let Him be Lord. We don’t have too many poor anymore in Australia. It’s all relative. Comparing one another in Australia doesn’t work. Compare our poorest person with a poor person in India. Honestly, we do not have poor people in Australia. Not really. It’s good in Australia, really! If you want to get fired up and experience God’s Presence then be apart of proclaiming the good news to the poor. Jesus is into that! And you can participate in many ways. You can get involved in your local church and its mission to the poor. You can partner with ministries, like Empart for example, who minister to the poor – both physically and in spirit, by sending out Church Planters to transform communities. Empart is planting 3-4 churches every day! Oh, and if you want to know why I am passionate about India, then just read this single page and you too will know why! I challenge you… nah, let Jesus challenge you! India doesn’t need just money. It needs Jesus, just like you and me. The Church is the only answer to transforming India. We better get it right too because India will be the dominant world power soon and we will all be owned by them. Believe me, it’s not that far off. I would rather have a Christian influenced world power than any other. Every country that denies Christ or has any other belief system in place is a horrible place to try and survive in. Even a sluggard like Blind Freddy can see this if only he lifts his slumbering head and looks carefully and makes the observation. Every country that has let Christ reign has become successful, wealthy and fruitful in every way. But for those who forget and kick Christ out of the equation soon go downhill fast. Will we ever learn? My personal resolve is this: To wake up. To slumber no more. To be a worker of the harvest. To be rich in Christ; richness that includes God’s Presence and His Power. Without it I am poor and that is my poverty! It has no commander, no overseer or ruler, yet it stores its provisions in summer and gathers its food at harvest. and poverty will come on you like a thief and scarcity like an armed man. I’m AWAKE! I’m AWAKE! I’m hoping I can make enough noise to awaken those around me. I don’t want to do this alone.